Albert Schacht was the operations manager for Carl Zeiss from 1919-1926. From 1939-1946, he was the technical director at Steinheil. He founded his own company, A. Schacht, in 1948 in Munich, Germany. In 1954, the company moved to Ulm. 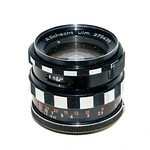 Lenses from the earliest period are marked A. Schacht Munchen. Those from the later period are marked A. Schacht Ulm. A. Schacht was acquired in 1967 by another manufacturing company. 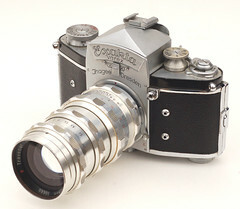 A. Schacht made lenses for several popular lens mounts of cameras for 35mm film including Leica thread mounts. Some of these lenses belonged to the set of standard lenses for the Edixa Reflex SLR. Schacht made also lenses for enlargers. The company appears to have stopped production in 1970. This page was last edited on 20 September 2017, at 05:10.